If you expect to run a successful business, you probably can’t do it alone. Employees who love the company and want to work hard for its greater good are not only desirable, they’re essential. The question for you is: Are you building strong, healthy relationships with your employees? Or is it more likely they regard you as just someone they report to? Building relationships with employees is vital today in business. Workers, especially if they’re the millennial variety, tend to seek work-life balance. They want job satisfaction and a compelling workplace culture. However, if you don’t have good relationships with your staff, this can have negative effects in all of these areas. It will make your staff less likely to continue providing value for your company. Therefore, you need to focus on building stronger connections with your employees. Here are 4 basic tips. Building strong, healthy relationships that will survive over the long haul entails being present from the beginning. If, as the boss, you don’t introduce yourself to an employee until after he or she has been on-boarded, you’re already behind schedule. Maybe you don’t have the time to dedicate to reviewing the applications, conducting interviews, and making the final call about hiring. All the same, you should poke your head in and spend a few minutes with every serious candidate. This shows people that you value their presence. It provides something to build on once they’re on the team. Hardly anything matters more than trust. One of the primary ways you establish it with your staff is by promoting transparency. Communication and transparency go together. If you aren’t communicating well with your team, then they’re apt to feel like you could be hiding something or operating behind their back. Practical ways to promote stronger communication, transparency, and trust include being better about scheduling shifts. Honor time-off requests whenever possible. Take responsibility for mistakes that fall on your shoulders. Additionally, discuss the future of the business in clear and direct terms. In other words, don’t try to avoid discussing layoffs, expansion, evolving leadership roles, and so on. From a practical perspective, an open-door policy makes a lot of sense. But the bonus is that it also empowers employees to feel they have a closer relationship with upper-level management. You should try to institute an open-door policy in your outfit. Do you want to show employees that you really care for them as people? Stop viewing them as labor and start to treat them as living, breathing parts of the organization. One striking way to do this is to tie part of your employees’ wages to the company’s performance via revenue sharing. This might cost you a little more in terms of direct costs. However, the long-term benefit of fostering highly engaged employees will be far more valuable. It’s impossible to run a successful business for any period of time without having your employees buy in fully to what you’re doing. 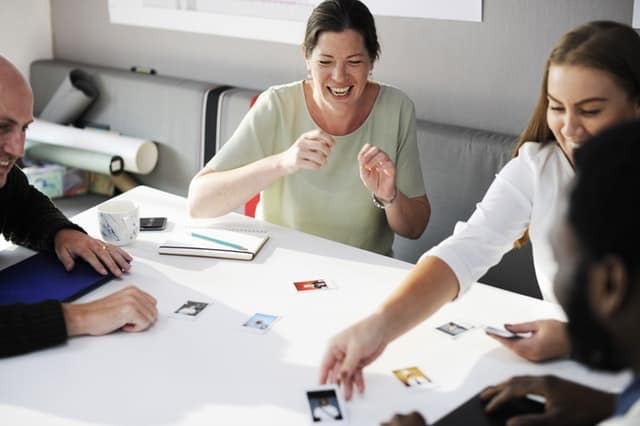 That can happen in a variety of ways, but good relationships serve as one of the foundations for strong motivation in the workforce. Find ways to strengthen your employee relationships and you’ll notice the difference.